I like a crisp cold winter day, when the sun strikes the landscape just so, and everything lights up with a golden glow. Add a rich hoarfrost, and things couldn't be better for a day of photography. We took our cameras down to Richmond Park, and wandered down the path to the frozen Pen Ponds. 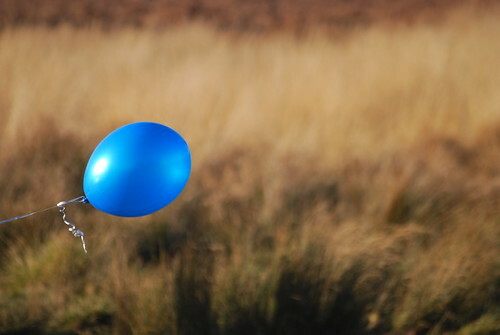 A pram had a blue balloon tied to a strut, and it was catching the light breeze, floating out over the golden brown winter grasses.